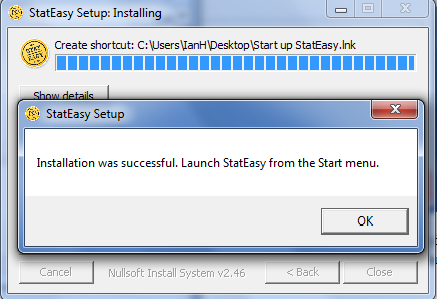 Easy installation instructions for coaches and staff to install and set up StatEasy content producer tools. Navigate to the StatEasy website at http://getstateasy.com/download. 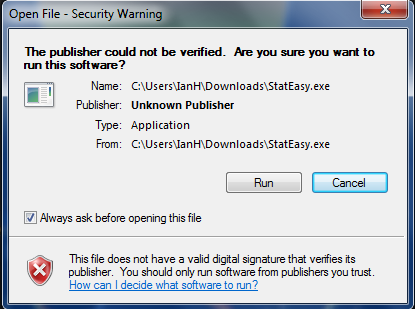 Navigate to the file you downloaded (StatEasy.exe). If you are using Google Chrome, the default download location is the “Downloads” folder. Alternatively, if you are not using Google Chrome, you may quickly and easily locate the StatEasy.exe file by typing StatEasy.exe into the windows search bar. In Windows 7, the search feature is located in the start menu, and is accessed by clicking on the Windows icon in the bottom left corner of the screen. 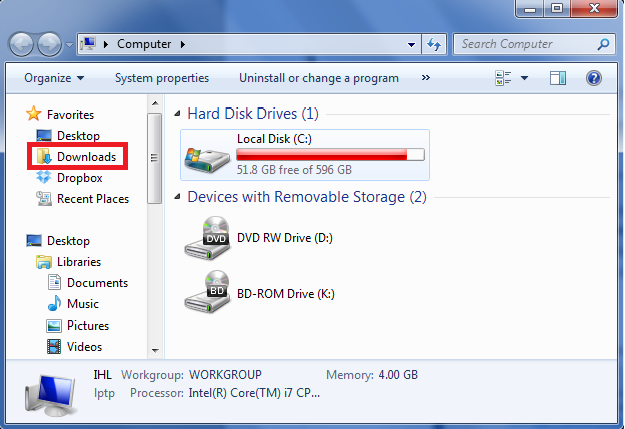 clicking, if you used the Windows 7 search feature). You should not change the installation directory unless you are sure of what you are doing. 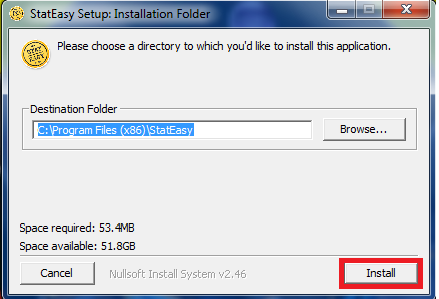 Simply clicking the Install button, highlighted in red above, will install StatEasy to the default location. the Start up StatEasy entry. Installation is now complete. We hope you enjoy all of the benefits that StatEasy offers!